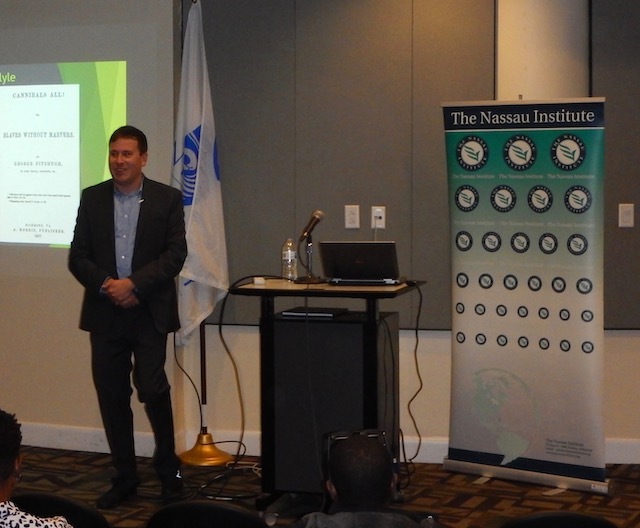 On Thursday, September 20, 2018 Dr. Magness discussed ”Slavery, Abolition, and Classical Liberalism: The forgotten link between the American Civil War and the British West Indies” in the lecture hall at the Harry C. Moore Library at of The University of The Bahamas. This lecture examined the role of Classical Liberalism in two emancipatory events from 1865: the abolition of slavery in the United States due to the American Civil War, and the colonial upheaval of the British West Indies in the aftermath of Jamaica’s Morant Bay massacre. In both cases, classical liberal thinkers provided the intellectual ammunition against state-sanctioned oppression, thereby advancing the cause of individual freedom in the United States and Caribbean. Dr. Phillip W. Magness is an economic historian specializing in the “long” 19th century United States, as well as general macroeconomic trends. He is a leading expert on black colonization during the Civil War era, and its sometimes-strained relationship with the African-American emigrationist movement of the same period. He studies the political economy of slavery in the Atlantic world, and particularly its relationship to public policy. His broader research extends to the economic history of the United States and includes historical tariff policy, the federal income tax, and the relationship between taxation and wealth inequality. He also researches the history and political economy of higher education and the American university system. Magness’ research has appeared in multiple scholarly and popular venues, including the Journal of the Early Republic, the Journal of the Abraham Lincoln Association, Slavery & Abolition, Constitutional Political Economy, the Journal of Business Ethics, the Journal of Supreme Court History, and Liberal Education. His popular press writings have appeared in Newsweek, Britannica.com, the History News Network, and the New York Times. He has fact-checked Politifact, discussed the economics of higher education on NPR’s Marketplace, and presented on Black Abolitionism for C-Span’s American History TV. Magness holds a B.A. in Political Science from the University of St. Thomas in Houston, Texas. He obtained his MPP and Ph.D. from George Mason University in Fairfax, Virginia, specializing in policy history. He has taught Public Policy at George Mason University and American University in the Washington, D.C. region. 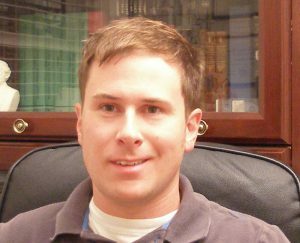 He is currently a Visiting Assistant Professor of Economics at Berry College for the 2017-18 academic term and Senior Research Fellow at the American Institute for Economic Research.